It is easy to shop for new clothes, especially if your hard-earned money is clamoring to be spent. Buying that silk jersey or wool jacket can be done with just a swipe of a credit card, but washing and cleaning it? There goes the rub. Different fabrics need caring for in different ways. There are times when the laundry labels do not really provide enough information on how to care for the clothes. If you are not careful, that expensive dress can be ruined due to inappropriate washing. Here is a list of tips on washing and caring for the most commonly used fabrics. You can find a more comprehensive guide in The Laundry Center website. Comfortable and versatile, cotton can be made into casual shirts or elaborate gowns. It is also absorbent and long lasting. Unfortunately, cotton wrinkles easily, hence, it must be ironed regularly to keep its appearance. Unless pre-shrunk, cotton will shrink the fist time it is washed. Look at the care label. If pre-treated, it is relatively low maintenance. Cotton may be washed in hot, warm or cold water, depending on the garment color and label recommendations. It should be dried at a lower heat, then removed while still fairly cool. 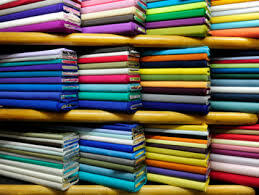 A wonder fiber, polyester fabric is strong and durable and can be made into colorful, easy-care garments. 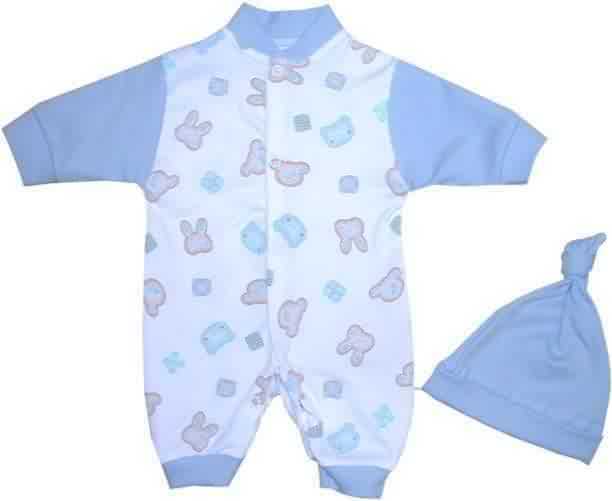 Usually blended with cotton, it helps the latter to retain its shape and prevent wrinkling. 100 percent polyester, on the other hand, is soft and smooth, almost satiny. Most clothes made of this type of fabric may be machine-washed and dried on low heat setting. Warm water is usually used, but you have to check with the care labels first. 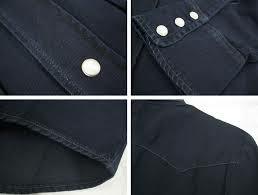 Polyester does not require ironing, although it can be ironed if needed. Just be careful as it has the tendency to be scorched due to high heat. Sleek and shiny, silk is a luxurious fabric that drapes well on any figure. Its high level of absorbency allows it to be dyed in many different colors. It can also be quite cool to wear in the summer and warm in cold seasons. Silk is one of the oldest fabrics in the world. It is also supple and strong, but can be quite tricky to clean. Let the garment labels guide you in washing. It all depends on the type of silk. Most needed to be dry-cleaned. If hand washed, use only the mildest products then rinse with cold water. Never ring it out to dry as this could do damage. Dab on the excess water using a towel, then hang to dry. If you live in the NYC area, make your life a little easier and schedule your next free laundry pickup with The Laundry Center. First order is 50% Off with code BUBBLES50 and your second order is Free! Should You DIY Dry Clean? When you buy clothes, you’d often get turned off by those that are labeled as “dry clean only”. Usually, these clothes are made of high-maintenance fabrics. But there are those who are enterprising enough to use do-it-yourself dry cleaning kits, or special handwashing techniques to take care of these garments. But should you even try? The fact is that experience is the sole effective teacher when it comes to making this decision. Those who are experienced enough will learn (and often in a trial-and-error basis) that there are ways to clean specific types of clothes effectively. For those who are not (i.e., those who still have to refer to the care label guidelines each and every time), it might be wise to entrust the care of your garments to the experts. Are there spots or other stains that you don’t know how to treat? Is the garment made of sensitive fabrics? Those made from rayon or acetate can get misshapen even just by dipping it into water. Is there a special type of finish on the garment? Some types of stiff fabrics usually have a stabilizing finish. This helps the garment hold its shape, and can be ruined by water. Is the garment difficult to iron? Some garments have too many pleats or tucks, and you might not be able to make it look crisp again. Is it a tailored or structured suit? Clothes such as coats or suit jackets have certain interfacings that give them their shape. These, too, can be ruined by water. Does the garment have leather or suede trimmings? Is the garment a special item for you, and will you be upset if it gets ruined by washing at home? If you answered “yes” to just a single one of these questions, then it is best to take your clothes to your nearest laundry service. A professional laundry service will do a far superior job of making sure that your clothes are well-cared for. Certain garments are marked “dry-clean only” for a good reason, and this often includes preserving the fit, style, shape, and quality of the clothes. Handwashing these clothes can result in ruining them, which are more often than not irreversible. Come to think of it, your clothes are your investment, and you wouldn’t want to waste them simply due to mishandling. You’ve just gotten home with that sweater you’ve been eyeing since last payday, and it’s a perfect fit. You do some laundry washing over the weekend, and out the sweater comes, three sizes larger than when you left the store. What just happened? Those who have had enough time with the laundry will know that shrinking and stretching can happen even if you follow all the “rules” of washing to the letter. In fact, several different factors can predict the clothes’ ability to hold up to the stress of washing: the fibers used, the eave, and even the process of manufacturing the garments have their own say in this tendency. 1. Read the labels completely before you decide to purchase the garment. If the fibers are natural (cotton, bamboo, wool, etc. ), make sure to look for the “pre-shrunk” tag. This ensures that there will be less change to the garment’s size during its lifetime. 2. Use either cold or warm water when washing. While this does not totally eliminate the case of shrinking or stretching it does lessen the damage to the fabric during the laundry process. 3. 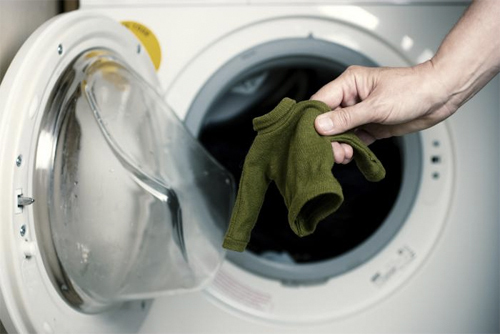 If you are using a washer, opt for the “gentle” cycle or that which does not have prolonged agitation and spin cycles. 4. If you have an option to do so, use high-efficiency washers, either in the front-loading or top-loading variants. These washers do not have center agitators, and their tumbling action is significantly more gentle than the forced actions of a standard washer. 5. Do not go for excessive drying. It is always best to air-dry, but if you do not have this option then us lower heat options on the dryer. Also, remove the clothes while still slightly damp to help preserve their fit. For knits or loosely woven items, dry them on a flat surface so that the weight of the water does not force them to stretch. 6. Do not wear your clothes for extended periods before washing, since this can result in stretching. Regular washing actually helps control the garment’s fit. Then of course, there is always the option of enlisting the help of a laundry washing service to take care of your clothes for you. Clothes are investments, after all, and are meant to be taken care of. When your man of the house has spent a whole day in the garage tinkering with his engine block, you know what you’ll find in the laundry the next day – a half-mountain of grease-splattered overalls, shirts, and maybe a few rags. Come to think of it, you don’t even to be working with cars to get grease on your clothes. 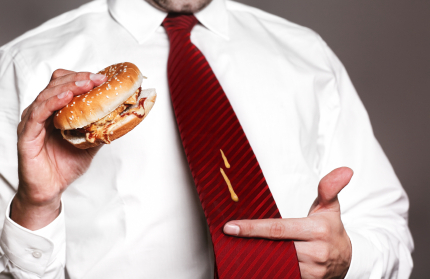 Even a quick few minutes working in the kitchen can have cooking oil ruining your clothes. As any housewife knows, this is one of the easiest ways to ruin clothes, most of the time requiring the laundry center nearest you to get the stain removed. There is a trick, however, to taking care of grease stains – and it lies not in the laundry area, but in the kitchen. 1. Place the stained garment stain-side down on a set of white paper towels. Make sure not to use printed paper towels, as these could transfer the ink color to your clothes. Cut the grease by applying a dime-sized drop of the dish soap on the back of the stain. This works best when the stain is still fresh, and you may need to use larger amounts for stains that have already set in. 2. Rub the soap vigorously into the area, saturating it. Let this sit for a few minutes. 3. Rinse the stain under warm water. This will loosen the gunk and take away as much of the stain as possible even before actually washing the garment. If you are unsure that the garment can handle warm water, you may use a cool water rinse that gradually increases temperature as long as the stain remains. 4. Wash the garment as usual. Remember to follow the instructions placed on the garment label. 5. Upon rinsing, notice that the grease stains have all been rubbed out. Your clothes are now as good as new! If the stain is really tough and you can still see parts of it after washing, simply repeat the dishwashing soap step. Dishwashing soap products are specifically formulated to remove grease from kitchenware, and thus it would come as no surprise that the same application can be extended to clothes. The better part is that this same trick works for all oil-based products that happen to stain your clothes – even stubborn oil paint drops can be removed using this simple trick! Dark clothing and fabrics look good because of their deep, dark hue. Once the color and intensity fades, the lack of contrast makes the clothing or fabric look old. Faded jeans, blankets, bed sheets and blouses look like they needed to be replaced even though they are still usable. Here are some tips on how to prevent dark fabric from fading. Most commercially available textiles derive their dark color from dyes. Dyes have the tendency to fade especially when exposed to repeated washing and bleach. What you need to do is to prevent the dyes from being washed off the fabric. Do not make the mistake of thinking that natural and organic additives are weak. A lot of people are using baking soda, for example, to remove unpleasant odor from clothing and to keep white fabrics bright. When it comes to washing dark clothing, you can use vinegar, salt and even baking soda. For the vinegar, add 1 cup of white vinegar when rinsing the load. The vinegar smell will fade as the fabric dries. When washing new colored clothes, use ½ cup rock salt in the wash cycle. This prevents the dark colors from bleeding too much. To keep the colors vibrant, add ½ cup of baking soda during the wash cycle. Do not Leave your Clothes under the Sun for Too Long. The sun can fade the colors. You can see this effect in billboards and posters that have been outdoors for too long. Take your clothing inside once it is dry. Turning your dark clothing inside out when washing lessens the impact of the detergent to the dye. This is especially helpful for dark denim. Line drying your clothes is safer for the environment because it produces no carbon dioxide. It helps the water evaporate naturally. Although it may take a longer time to dry, line drying is friendlier to colored clothes because it uses no high heat. Heat can fade the colors of fabrics. Never use ordinary chlorine bleach on dark clothing. Instead, use color safe bleach for colored clothing. Cold water prevents dye from quickly seeping out of the textile fibers. Rinse dark and colored clothing using cold water as much as possible. Also, use the shortest cycle for rinsing when washing clothes. Dark clothes and fabrics look best when dark. Just like them, white fabrics look best in their brightest form. However, due to constant washing, exposure to sweat, deodorant and other inevitable stains, whites gradually turn yellowish. Here are a few tips on how to prevent white fabrics from turning grayish or yellowish overtime. Most people own few white clothing. As a result, they tend to mix them with colored fabrics to save time. The dyes of other fabrics will cling unto white fibers. The only way to remove the dye is to bleach the white fabrics. To avoid this hassle, wash white fabrics alone. Hard water has minerals like magnesium and calcium that make detergents less effective. Unfortunately most households have hard tap water. Hard water that is rich in iron leaves reddish stains. If your tap water has iron, then using chlorine bleach will make the fabric even yellower. Replace chlorine bleach with oxygen bleach. See if your supermarket carries iron-removing detergent. You can also have a water softener installed to save money from constantly buying special detergents. When washing dark clothing, use cold water to prevent the colors from bleeding. When washing white clothing, use the hottest water that your hands can tolerate. Don’t use boiling or scalding water as it can ruin the clothes elasticity. The heat will help any dirt and grease to dislodge easier. Baking soda is widely used to keep white fabrics white and colored fabrics bright. It is a safe and versatile additive when washing clothes, blankets and bed sheets. Add ½ cup of baking soda during the wash cycle. If you hand wash delicates, you can add the same amount, too. Before completely laundering the clothing item, soak the stained clothing in water, take it out and then put undiluted liquid oxygen bleach to underarm stains, food spills and other colored stains. 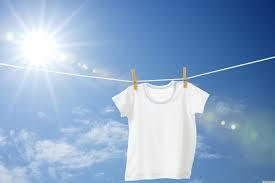 The UV rays and heat from the sun can help in whitening fabrics. They help fade the stains and the color so make sure that the clothing or fabric is pure white. Bleach may not be effective in removing the gray undertones in white fabrics. For this, see if your supermarket carries a color remover. If it doesn’t work, try a detergent with optical brighteners. These detergents have a bluish tint in them to help white clothing appear bright. When you go to the supermarket, you have no choice but to pass an entire aisle lined with different kinds of laundry detergents in all scents, sizes, packaging and brands. They are all advertised as the best detergent that removes 99.9% of dirt and bacteria. You have already ruled out a laundry service because you want to do your own laundry. 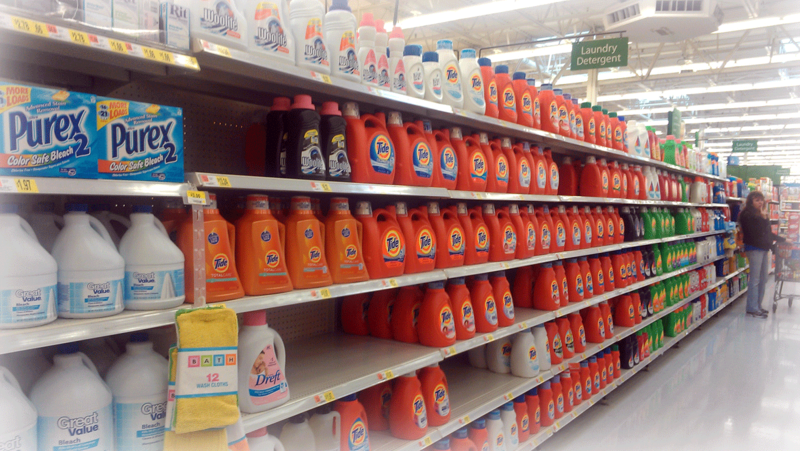 As a wise consumer, how would you choose a laundry detergent that you need? Today, an increasing number of manufacturers are releasing concentrated detergents because this saves them money in packaging, inventory and delivery. 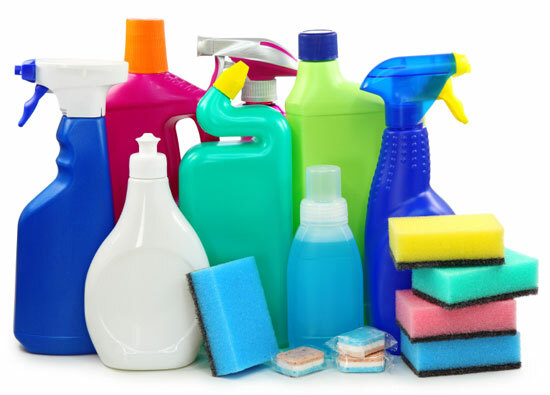 Concentrated detergents (usually liquid detergents) are housed in a smaller packaging but are more powerful. Some come in single dose packs. If you have children, then keep concentrated detergents away from them since these can be at least twice as toxic. Laundry detergents come in different forms. Powder detergents are best used for everyday clothing to remove light skin sebum, sweat, blood, clay and foul smell. Liquid detergents are ideal for greasy and oil-stained clothing. Single dose packs (powder or liquid), although expensive, remove all kinds of stubborn dirt. Powder detergents, in general, work less effective with cold water. Detergent pods are packages that contain washing detergent, brightener and stain remover. The pods have a separate chamber that contains the three solutions. Bleach is good for white clothing. However, if colored clothing are heavy soiled or stained, you may need to bleach the stains. Only use color safe bleach on colored clothes and fabrics. Some detergents feature “oxi” or “oxy” in their packaging. Oxi or sodium percarbonate is a color-safe bleach. However, some brands claim to have oxi without using sodium percarbonate. Sodium percarbonate is weaker than chlorine bleach (sodium hypochlorite). Detergents that claim to have optical brighteners have a bluish tint that makes whites look brighter and less yellowish. Front loading washing machines are best used with less water and high-efficiency detergents that produce less suds. Top loading washing machines are perfect for conventional liquid, power and single dose packs where detergents with less suds may be too weak. Detergents that have 95% organic materials can be labeled as organic detergents. These detergents are perfectly suitable for delicate items such as brassieres and baby’s clothing, blanket and bed sheet because of the absence of artificial fragrances. Most organic detergents come in powder form. More and more people are getting busier with their work, family or academic load. That is why some chores are best left to professionals to save time. This is important for large families. Although laundry services do come with a price, relying on their expertise can save you money on your water and electricity bills. According to Green Contributor, the average American generates about 500 lbs. of dirty laundry yearly. You want all of your 500 lbs of clothes to be well taken care of. So how do you choose a good laundry service? There are different ways through which laundry centers charge their services. Some charge per pound while others charge per week, day or month. Some have a minimum load while others don’t. 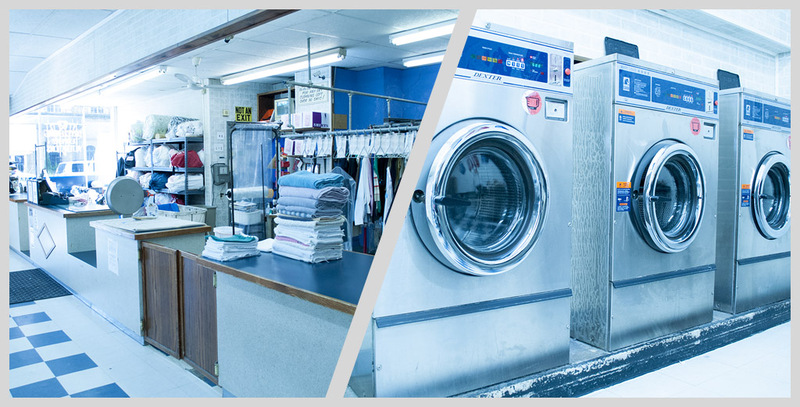 For wash, dry and fold, laundry services usually have a 24-hour turnaround time. However, some have a 3 to 7-day turnaround time. Some laundry centers have specialties such as dry cleaning non-clothing items such as blankets, comforters, pillows, coats, jacket and vests. Dry cleaning costs more than the usual wash and fold. For convenience, choose a laundry center that also offers to wash and/or clean non-clothing items. Laundry services have a service area, meaning that they only pickup and deliver load within that area. Some laundry services will need their clients to pass by the shop to drop their laundry whereas others have a pickup service for dirty laundry. Some of them are open for 24 hours. If you cannot simply find time to pass by the shop during their office hours or if you don’t have a car, then look for a laundry service that entertains door to door pickup. Not all laundry centers offer delivery. Some need their clients to pick up their washed items in the shop. Again, if you do not have the time drop by during their office hours, choose a service that offers free delivery. What you see in their website is their best. Don’t forget to take time to search for other reviews online. You can also ask your friends which service they avail of. Common problems that most people encounter in bad laundry services are lost or stolen clothing and over-bleached fabrics. Choose a laundry service that has a website and a functional landline. You may have inquiries in the future so make sure you can contact them. Adults have fully developed immune systems. However, infants and children don’t. That is why it is important to pay close attention to the detergents used when washing clothes. It can be hard to undo the effects of overpowering detergents on babies’ skin so it is best to do the right thing from the start. Here are some tips on how to wash your baby’s clothing, blanket, pillow and bed sheet. Using one kind of detergent to wash your baby’s clothing and beddings will make it easier to isolate problems in case your baby develops skin allergies. Wash everything after you just bought the clothing or if it has been stored for several months. 2. Baby Detergent or Not? There is no need to use special baby detergents if your baby does not have sensitive skin or certain skin conditions. With that said, it is permissible to wash your baby’s beddings, clothing, socks and bib together with the rest of the family’s laundry. However, it is still recommended to test one or two clothing item on your baby and check for any signs of irritation on their skin. If your baby develops hives and redness, switch to a detergent with no fragrance or dyes. Most detergents with optical brighteners have blue dyes in them to make white fabrics appear whiter and brighter. 3. Powder or Liquid Detergent? When washing anything that will get in contact with your baby’s skin and mouth, it is best to use a liquid detergent because powder detergents leave minute flakes that may be too irritating for babies. Do not keep soiled clothing for a week without washing it. It is ideal to wash stained clothing within 24 hours of acquiring the dirt. If the stain is caused by urine, feces breast milk, baby formula and spit up, rinse the clothing first and then launder normally. If the stain still persists despite scrubbing it, apply an undiluted amount of stain remover (liquid oxy detergent, chlorine bleach for white clothes and color safe bleach for colored clothes), leave it for 15 minutes and rinse the clothing again. Launder cloth diapers separately for hygienic purposes. Rinse the stains in the toilet using a dipper or a diaper sprayer. Wash cloth diapers at least every 2 days. Soak them overnight using liquid detergent and wash them thoroughly. When using powder detergent, choose something that is dye and fragrance free. Never use fabric softeners. 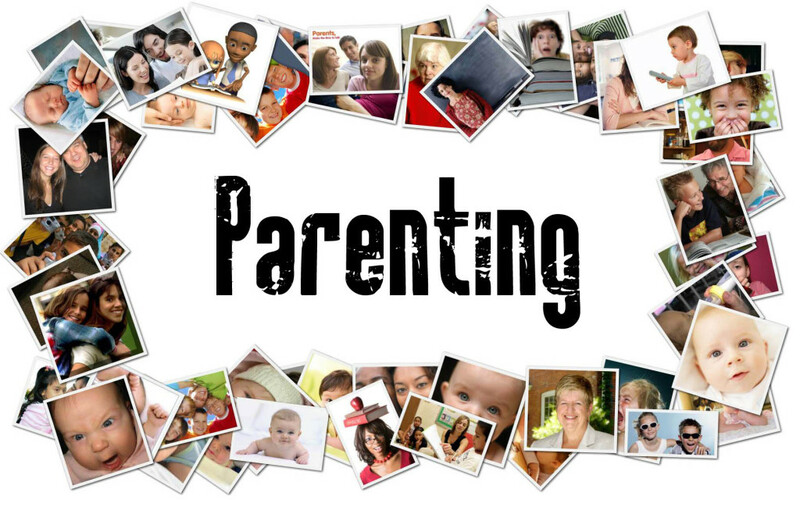 When it comes to raising children, you’re going to go through phases as a parent. Some of them will get more complicated as a child grows to become a teenager and then a young adult. As things progress, the shift from sole parenting to role model may in fact manifest. It’s with that in mind that you could use a bit of parenting advice that will help you shift from authority figure to example with relative ease. This may take a bit of work, but if you focus on the right elements, you will get a bit more progress in parenting overall. The first thing that you want to do is always present a harmonious home life. Try to work with your spouse to ensure that arguments, misunderstandings, and issues do not get discussed in front of children. There are certain things that they just won’t understand and shouldn’t see going on. Trying to remain harmonious can be rough sometimes, but it’s imperative that children do not feel that confused, or anxious about their home life. One of the best ways that you can become a better role model is to be jovial, courteous, and respectful when interacting with others. By doing this, you’ll be able to teach them how to act in public in an appropriate manner, and they will have a visual guide to comply with. Influencing your children is paramount, and doing so can be easy when you simply look at creating this positivity whenever interacting with other people. Perhaps one of the harder tips that you can try to work on and one of the best bits of parenting advice is to work on discipline. This means trying to get up early, going to the gym, getting chores done in a proper manner, and striving to showcase a much better and more complete example. Doing this will take out any excuse that you’re asking them to do something you don’t. If you can showcase an example and ask them to become more disciplined, they’ll have no major excuse and you can easily coax them into this valuable element. Overall the above 3 tips are just a few things that you can do to become a better role model for children. Whether they are becoming young adults or are still young, it’s always a good idea to work on things as a parent outside of setting boundaries, and being authoritative.